Just in case there’s anyone out there who has managed to avoid all the hype while simultaneously having the internet to read this blog, Star Wars: The Last Jedi is the latest film in the Star Wars saga. In the previous episode, The Force Awakens, scavenger Rey and ex-stormtrooper Finn joined the Resistance against the First Order, met Han Solo and Chewbacca, and helped destroy Death Star 3.0, a planet converted into a massive space cannon capable of blowing up multiple planets in one go. Now Rey has gone in search of Luke Skywalker, and the Resistance have a vengeful First Order out for their blood. The stunning promotional poster for Star War: The Last Jedi. All images used in this blog post are copyright Disney, used under fair use for review purposes. I had a lot of fun watching The Last Jedi. It is tempting to compare it to The Empire Strikes Back, the second installment in the original trilogy, and while there are some parallels, I feel The Last Jedi has done a lot that’s new too. That said, it doesn’t quite live up to its illustrious predecessor, and there is a very specific reason for that I will explore in more detail in a separate spoiler-full post later. Let’s start with the visuals, because they were stunning. The design of evry single part of this film was staggeringly brilliant, from the simple efficient spaceship interiors, to the wide open landscapes, the shining architecture and the brilliant CGI animals. Anyone who has seen the trailers will be familiar with the Porgs, a cute little bird critter, but there is other wildlife to be found in the galaxy, and it’s brilliantly inventive and rendered with gorgeous attention to detail. Costuming is fantastic too, each outfit designed perfectly: the costumes reveal a lot about the characters wearing them and their roles within the universe, what is important to them and where they fit in. Stepping up from costuming to the ships and other vehicles in the Star Wars universe, they too all feel well-chosen. The First Order’s vessels and vehicles are larger, more intimidating upgrades compared to those Darth Vader and the Emperor had in their fleet, with the same feel to the interiors – even the same lack of railings on the walkways. 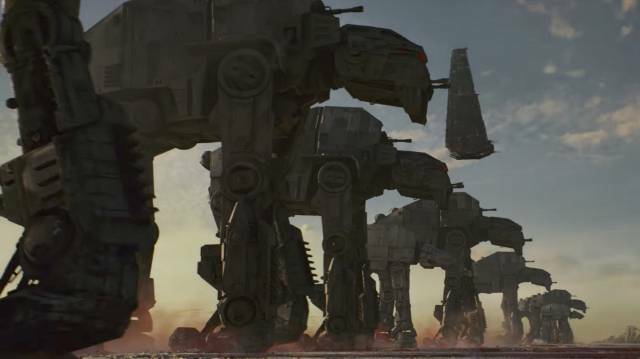 I’m particularly a fan of the new AT-AT walkers, which give a sense of being larger and sturdier than their predecessors, not to mention meaner. The new AT-AT walkers are bigger, stronger and scarier than those Luke faced on Hoth in The Empire Strikes Back. The Last Jedi really accomplishes a sense of scale, both through the wide shots of ships and locations, and through the timescales involved in the story. The space battle sequences are spectacular, with all the things we love about Star Wars battles: lasers, zooming fighter ships and explosions, but with a greater sense of structure and strategy than I ever got from the original trilogy: it’s about more than sending fleets of fighters out for a dog-fight. The plot seems to be very character-driven. It comes about because of the choices that Finn, Poe, Rey, Luke, new main character Rose and others make. The downfall in the plot, and the key problem I will discuss in my spoiler-full analysis, is that some decisions hinge on a lack of communication between characters rather than an actual conflict or obstruction. Another gripe I have is an over-reliance on time-critical and last-second actions – a transparent attempt to increase the tension. The film could have slowed things down and given some of the dramatic themes more time to play out in between the action sequences. But for all that, it is exciting to watch, with events leading naturally to an exciting climax, and a few funny moments that fit organically into the plot without feeling like the film is taking time out for comic relief. 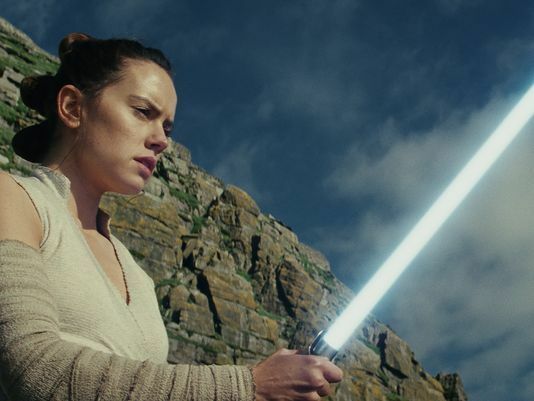 There’s a definite feeling that there’s a big challenge ahead for our heroes: the situation is significantly changed compared to that at the end of The Force Awakens, not all of it in good ways. 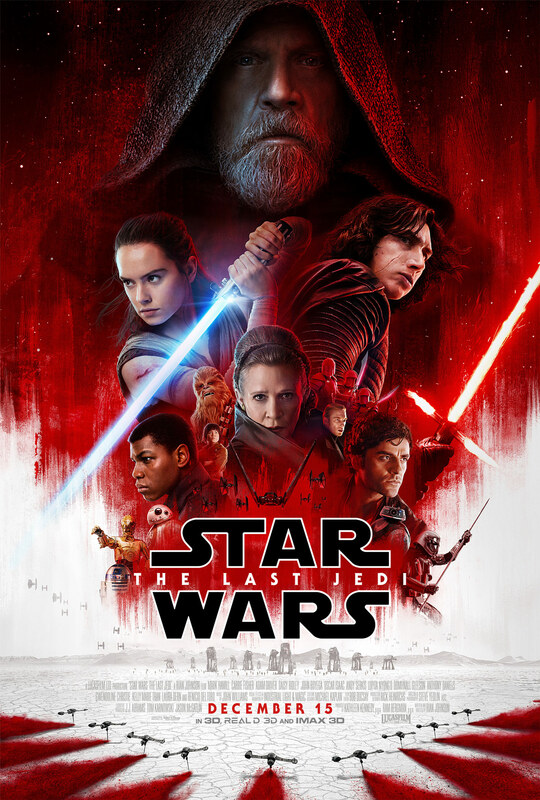 The final installment has a lot to achieve, but based on The Last Jedi, I am sure it will manage. I rate The Last Jedi 7/10. It looked incredible, from the wideshots of hermit Luke’s island to the battles. It was fun, exciting and epic. But some serious problems with the writing prevent it from achieving full marks.